Radici Digitali is a project created and conducted by teachers of Humanities, whose aim is to divulge quality information about Didactics, History, and Literature. 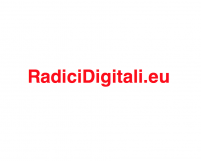 Radici Digitali is translated into French, English, Italian, Russian, Spanish, and German, as it is a project of divulgation whose objective is the promotion of European community Didactics and Cultures. Radici Digitali received the code ISSN 2532-6686 by Centro Italiano ISSN, that is to say that the articles published can be considered in all respects as publications and they can be pinpointed and quoted by academics, researchers, and editors. Radici Digitali is working to found a scientific committee in order to evaluate all the articles and to take part into the international project ROAD (Directory of Open Access Scholarly Resources). Our desire is to publish well structured articles, based on a grounded bibliography, without losing their informative purpose. All the articles have to contain a clear reference to Didactics. Before the publication, the articles are submitted to two readings by teachers of the subject, who detect possible criticality and propose changes to its author if necessary. Radici Digitali is a non-profit association.